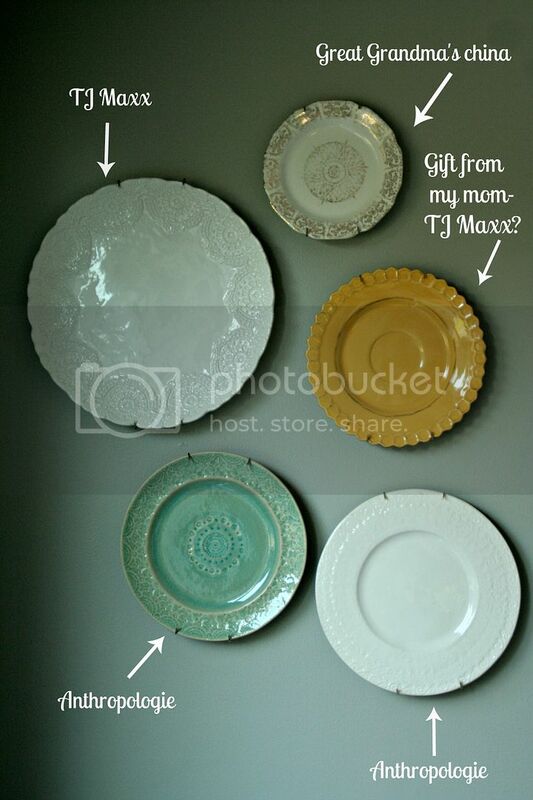 The idea of hanging plates on your wall isn't a new one. I love hanging "things" as art on my walls. Instead of rectangular framed art, rectangular framed art, rectangular framed art...this is a fantastic option for bringing color and style into your living space. Whether you are traditional or modern, you can pull this look off simply by the plate(s) you hang and how you hang 'um. 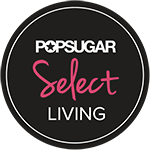 , and they are just fine BUT there is a new product that is FABULOUS and hidden. 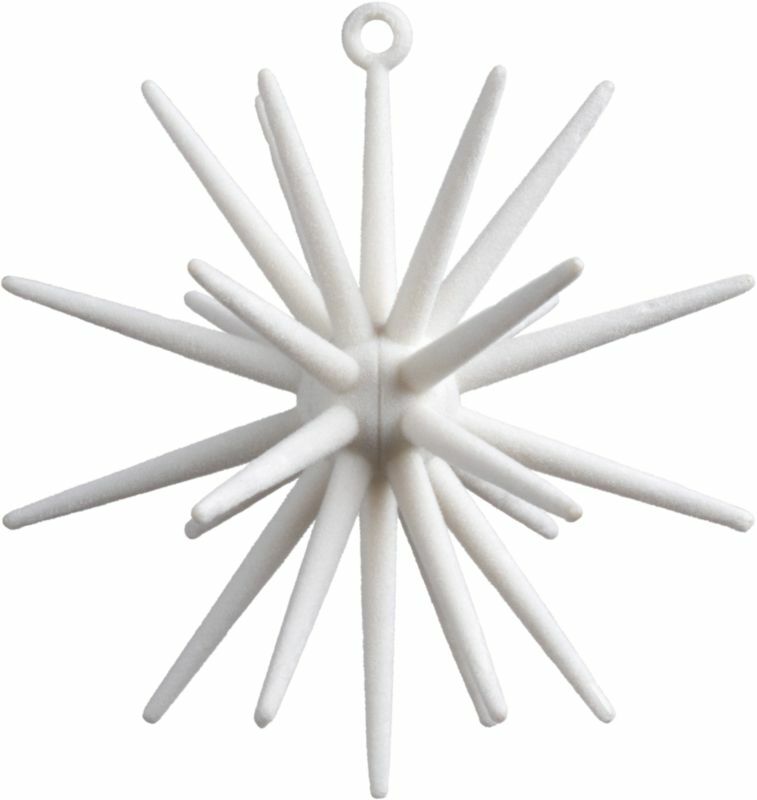 Pick these babies up at Hobby Lobby, hardware stores and online for a seamless look. 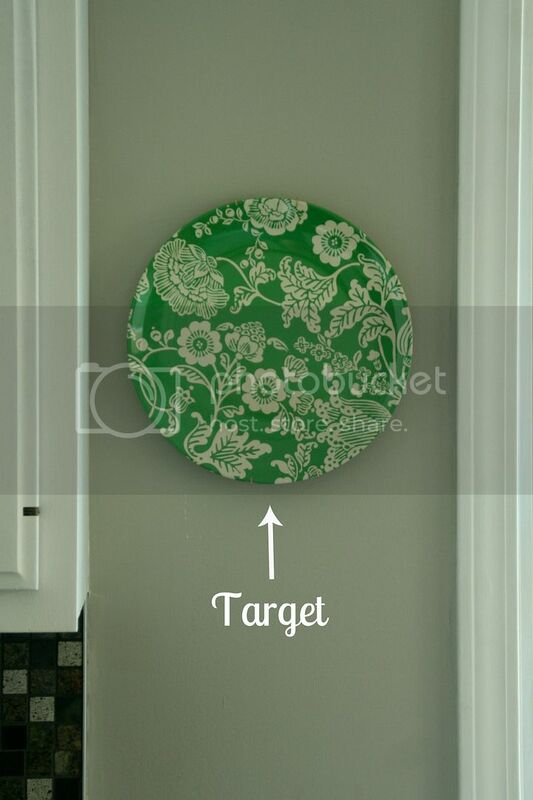 and start planning an hanging one or 20 of your favorite plates! Happy New Years Eve! And Happy 2013. I'm taking a little time today to think about the goals that I am going to set for myself tomorrow, on the first day of 2013. Goals are important. Just like you would have a plan for remodeling a bathroom, I think I need to start thinking of a plan for my year. 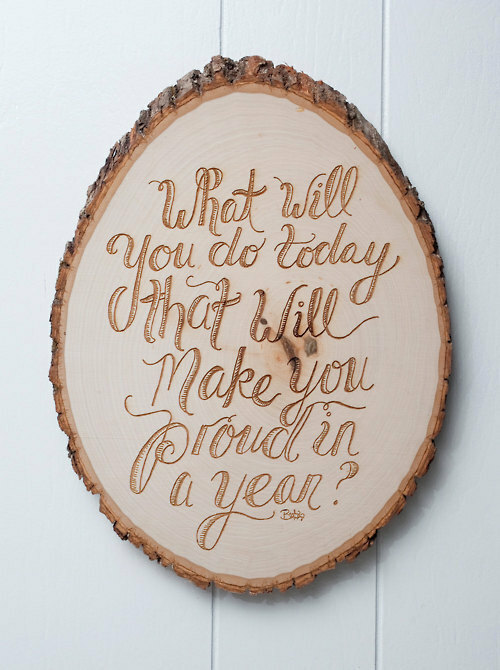 So, I ask "What will you do today that will make you proud in a year?" It's not an easy question. But I am now at the age, 39, when I think I need to be more thoughtful and specific about the direction that I go in my life. 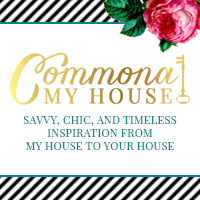 I know that one of the things that will be on my 2013 list of goals will be to continue to make Commona-my House a happy, positive little place for us to visit and chat about ways to enrich our homes. Thank you for stopping by and for being my guest here. I can't wait to share 2013 with you. What better way to start the new year than with getting a bit organized. Does it sound fun to you? It doesn't sound fun to me...when I think organized, I think of all of the work that is going to go into cleaning out closets, labeling pantry items, etc. So I was looking for something a bit perky to get me going. And thanks to For Chic Sake, I have just the right little project to kick off my New Year of being organized and on task. We always seem to have chargers kicking around. No one can ever find one when they need them, and there is only 1 (out of 4) that works with my phone for some reason! Now I'll know which one is which and will be inspired to keep things a bit more tidy. Click on the links above in order to download and personalize your very own charger labels. And I can think of just about 101 other uses for these labels as well! 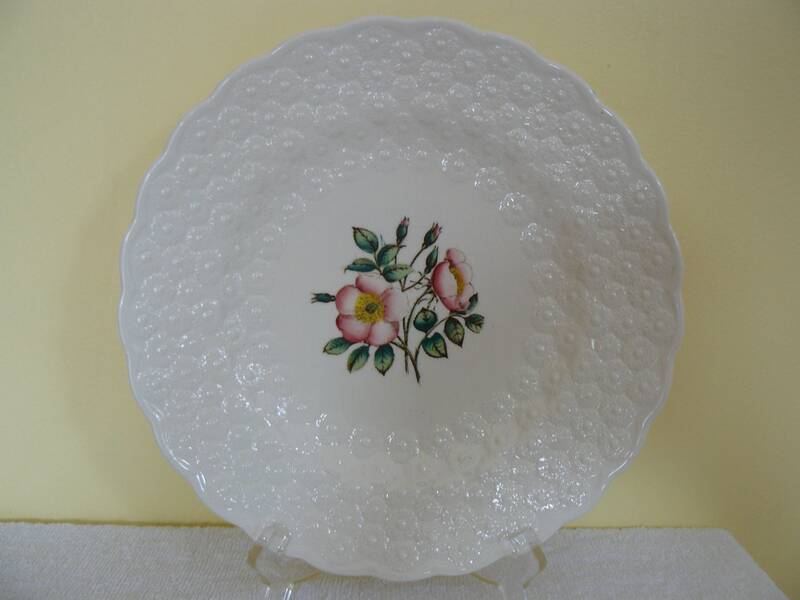 Spode is a brand of ceramics and fine bone china based in Stoke on Trent, England, founded in 1767. That means, yes, Grandmas have been collecting Spode since the mid to late 1700s. 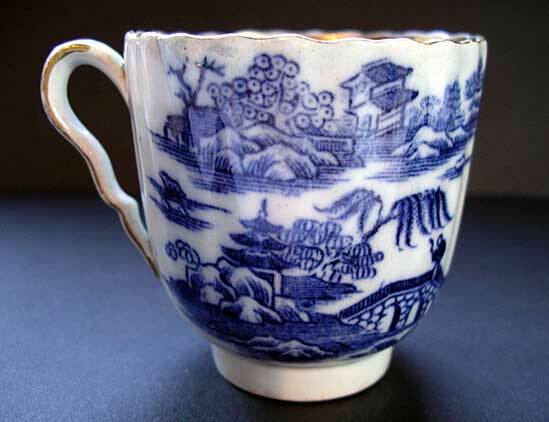 Josiah Spode was renowned for his technique of blue transferware, underglaze pottery. My mother and grandmother both LOVED the Blue Willow Spode pattern, possibly the most well know and most popular of them all. They have countless patterns, popular for the past 250 years. If you love a pattern and see it at TJ Maxx, good for you, you have a special piece and you can call it an heirloom. 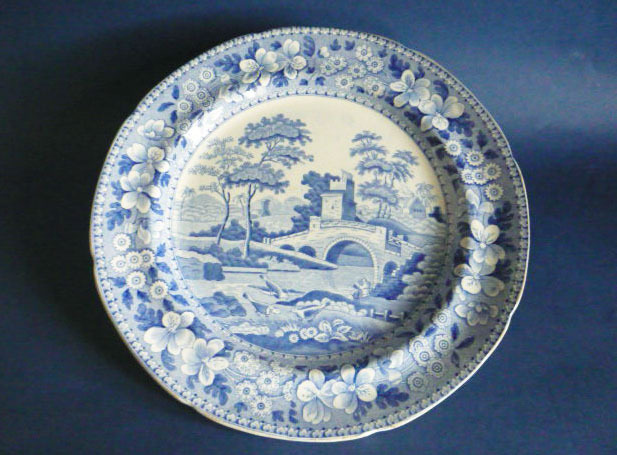 If you're thinking of collecting SPODE check out this little SPODE starter roundup. 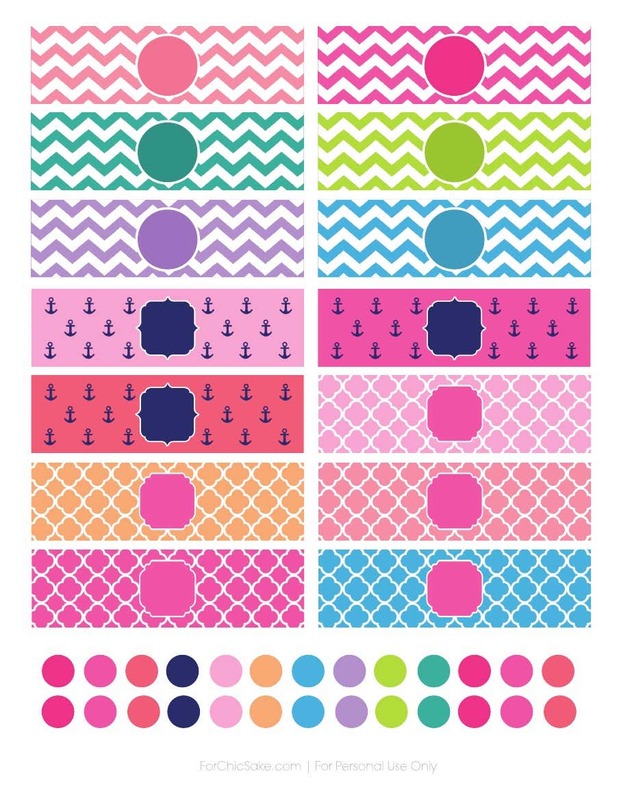 The new "Archive Collection" is a series of reproductions of popular antique patterns. The back of the place will clearly state is an "Archive Collection" piece. Therefore, if you are buying ANYTHING on line, you should always ask to have a picture of the back of the plate for reference. This could make a difference of paying $35 for an Archive Collection set as apposed to $200+ for an original set. (see below for examples). Here are the markings on the back of the plates/dish that will tell you when your piece was produced. Like I said, there are COUNTLESS patterns, colors and motifs. Here are just a few. 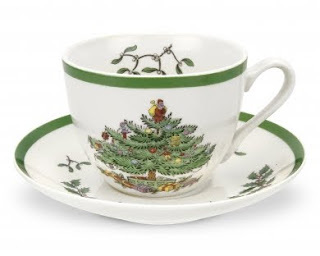 Spode "Woodland Theme: Winter Elk"
Spode Christmas Tree Pattern (I love the mistletoe and holly circling the inside of the cup and the saucer). I've always wanted to travel to take a look at the Spode Museum's pattern book. 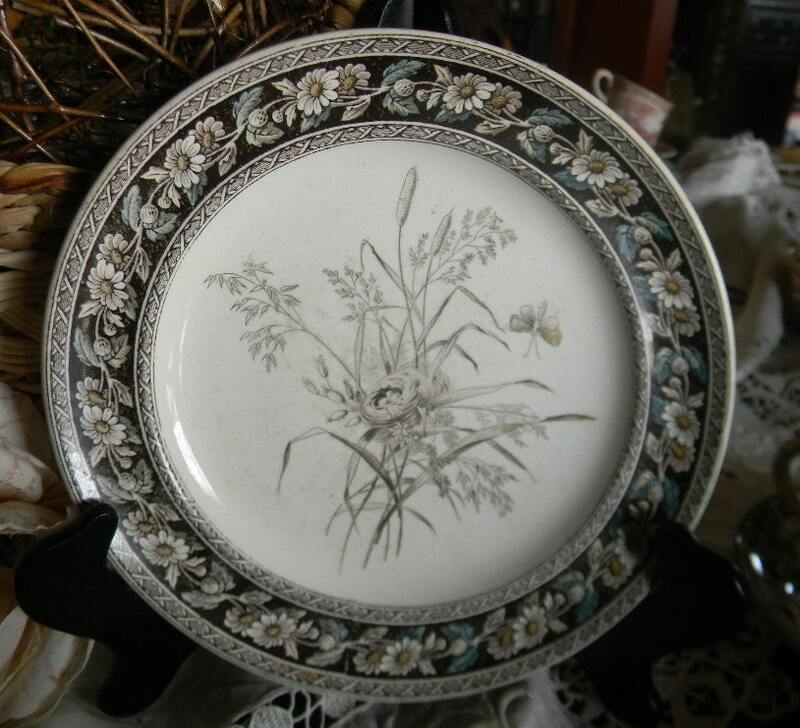 You can visit their factory and museum and take a peek into Spode's amazing living history. Here is my favorite! Maybe you recognize the one below from my last post about coconut cupcakes?! Spode "Jasmine, Mint and Brown"
I have loved this recipe, only making this cake once a year either around Christmas or Easter. This year, I made cupcakes. It is the perfect tropical treat for a snowy day. My kids called the cupcakes SNOW CUPS. I've modified Ina Garten's orginial recipe, follow hers or if you want a little more coconut flavor, just add 1/2 cup Coconut milk to your cake mix. Just change the amount of milk that you add, instead of adding 1 cup, only add 1/2 cup of milk and your 1/2 cup of coconut milk. And 1/2 cup coconut milk to your frosting and adjust your confectioner's sugar to get your desired consistency. (I used Coco Lopez, but you could use any canned coconut milk that is available, usually it is either in the bar tending section or the Asian Food section..I seem to always have some canned coconut milk in my pantry because I use it in my curry). *If making cupcakes, mine were perfect at 350' for 14 min. Bake until toothpick comes out clean. In the picture above, there is a hint about what tomorrow's 'Antiques 101' post will be about. Want to take a guess? I have been looking for dining room chairs for about 3 years. I'm typically not one to wait, but there was a certain look I'd been hovering around. It was this from Wisteria. I liked the look, but was NOT FOND of the PRICE. They started at $500 (they are marked down now to $374 a piece). 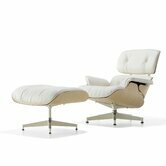 But I wouldn't have said that they were my dream chair either. They are similar to upholstered chairs that my mom had in our dining room when I was growing up, which might explain why I just kept coming back to this as my best option. I also am inclined towards French Antiques, but I think most French is too feminine for my husband's taste, so this was a great compromise. I liked the carved wood and antique look, but would have had to invest fabric on top of the already steep, in my opinion, cost per chair. I like the white Wisteria base upholstery, shown above, but I typically decorate with solids everywhere else so I wanted to infuse color and pattern in my chairs. I wanted 6 of them, btw. I found some good old hotel chairs on Craigs list (they were frightening, but had great bones and the overall look I was going for) and got 6 of them for $80. Then I took my time finding fabrics to keep me in budget. And finally, here they are! These obviously aren't an exact match for the Wisteria original. But they both have dark, carved wood bases adding to a grounded look, they both have upholstered seats and backs with an interesting curve or design at the top of the back. With original chair cost, fabric and upholstery expense I ended up investing $36 per chair. My Gram didn't really cook. I think she lived off of Grape Nuts and Yogurt, with a Friday night take out pizza carrying her through the weekend each week. But when she did cook, it was special and soooo good. It's not shocking that her one fantastic culinary masterpiece was a one pot wonder: Beef Burgundy. 1 cup burgundy wine (the cheaper the better). 2 sprigs celery leaves (these are the leaves on the top of the celery stalk..this is one of the secrets)! -Melt Butter in large stock pot, stew pot or dutch oven. -Brown beef and remove from pot (this maybe is crazy, but I put the beef in the flipped upside-down lid of the pot and set it on the counter (why dirty another bowl?, you'll be using the lid while it all cooks). -Add all vegetables to the pot and saute until tender and brown. -Remove vegetables from the pot, (I put them back on the cutting board). -Return browned beef to the bottom of the pot, then arrange the vegetables over the meat, covering it. -Season with salt and pepper (a dash, a pinch, whatever you prefer), add wine, broth, parlsey, celery leaves, bay leaves, and garlic. -Reduce heat to LOW and simmer covered for 2-8 hours. -DO NOT STIR while on the stove top. Every now and then, pick up the pot and shimmy it around to make sure it isn't sticking to the bottom of the pot, but do not stir it. Just gently shake pot occasionally. -Remove garlic cloves and bay leaves just before serving. - Optional, but I prefer it this way: Before serving, if you would like to thicken the stew 'gravy' , remove about 1/2 cup of juice from the pot and put in a small bowl. Add anywhere from 1 to 3 TBSP flour to the juice, stirring to combine. Add this mixture to your stew pot, gently stirring it in right before serving. -Serve in a nice warm bowl, on a bed of mashed potatoes (I love to serve mine on garlic mashed potatoes) or on a bed of egg noodles. It's the perfect comfort food on a cold winter's day and I've been making it on Christmas Day for about 15 years now. One of my favorite memories about opening Christmas gifts when I was a teenager has to do with my Grams. She would always wrap things beautifully and creatively. She also, showed her wicked sense of humor, because she would find and save boxes from Tiffany & Co., Gumps, Nordstom, Worth, Saks Fifth Avenue, Godiva and the like and when you opened the box you never knew if you were going to get a legitimate AMAZINGLY FANCY gift or whether you were going to get a pair of crappy socks in a Tiffany box. That was Gram. She thought it was pretty funny to trick you into wondering what you were going to get. How to tie a "knot-less bow", just like a Tiffany bow! There are so many gift bags and stick on bows that taking the time to beautifully wrap a gift seems like a lost art to me. But giving beautifully wrapped gifts is a gift in itself. 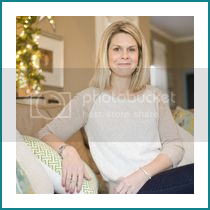 When I worked in Philadelphia, I worked at a PR firm just around the corner from Tiffany & Co. I once was tasked with coming up with 12 awards for a charitable dinner that I was helping to supervise for a client. I got to help the Tiffany staff wrap the engraved vases that had been chosen to be given as awards. They taught me how to tie the Tiffany way without getting creases in your ribbon or using tape and knots. Satin ribbon is best to achieve this look. Here's an excellent tutorial from the blog Everyday Treats. Hop on over for her step by step pics to walk you through this easy and timeless way to tie a ribbon...even if you don't have a Tiffany box or something other than socks to put in it! If your style is modern, contemporary or streamlined then fussy isn't your thing. These are huge terms, each with their own specific design genres, but to sum it up for me, these all fall into the category of clean lines, simplicity, orderliness, symmetry, structured, sculptural, with bold patterns or color choices (sometimes the choice being monochromatic which is a statement in itself). Look for texture, metals, fabrics, interesting lighting and contrast to infuse layering and exclamation points throughout these interiors and decor. 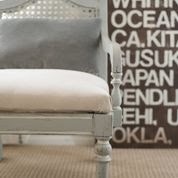 Give this style a peek...you might be surprised just how fabulous and versatile these ideas are! 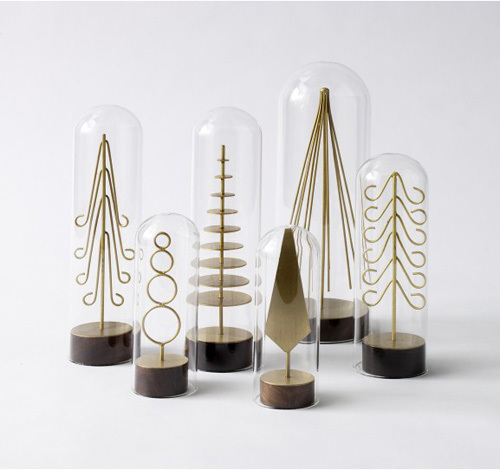 Hope this has given you a new perspective on modern, contemporary and streamlined decor! a bit rustic 'round my house, too. 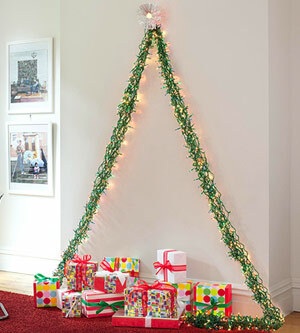 DIY light canvas: Merry & Bright Lights! 12 Days of Christmas Winners list is complete! T minus 12: 12 Days to get things wrapped! 12 Days of Christmas give-aways!